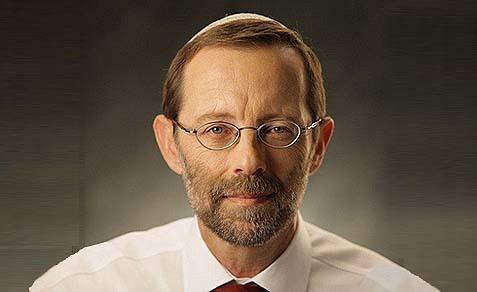 Zehut party Chairman and former MK Moshe Feiglin expressed solidarity with his son, Avi Feiglin, a footsoldier in the Kfir brigade, who said that he intended to refuse orders which endanger the lives of IDF soldiers by attempting to minimize harm to Arab rioters. Last night, Avi Feiglin uploaded a post to Facebook, in which he related how, several months ago during a brigade educational evening, a ‘Charuv’ battalion commander from the brigade had spoken about an operational “success” over which he had commanded during the period of Operation Protective Edge, near the community of Migdal Oz in Gush Etzion. “Instead of warning the population and calling on it to evacuate the area and then obliterate aerially, they send soldiers into alleyways and tunnels. “Instead of marking a line over which one who crosses is cut down, they send soldiers to deal with civilians and get killed from afar by sniper fire. The posts come after two soldiers were recently hit by snipers as they responded to riots along the Gaza border. Soldier Aviv Levi was killed, while the other soldier was moderately wounded near the same location several days later.